January 2019 – Britax Römer, the leader in child mobility, has today announced the launch of the KIDFIX² R and KIDFIX² S child car seats. Joining the award-winning highback booster KIDFIX range, the KIDFIX² R and KIDFIX² S are 2-in-1 child seats suitable for children in the Group 2/3 car seat stage (3.5 to 12 years of age; 15 - 36 kg; up to 150cm in height). They come with state-of-the-art safety features and the option to remove the backrest for children above 135cm for added flexibility. The KIDFIX² R and KIDFIX² S are highback boosters up to 150cm in height, modelled after Britax Römer’s popular KIDFIX XP and KIDFIX XP SICT car seats. The high backrests come with softly padded side wings for comfort and side impact safety. The upper and lower belt guides ensure the seat belt is correctly positioned, while the SecureGuard helps protect the child’s abdominal area by adding a forth contact point to a three-point seat belt. The KIDFIX² S comes with additional Side Impact Protection (SICT) which offers superior protection to a child in the event of a side collision. It reduces impact forces by minimising the distance between the car and the car seat and deforms to absorb the energy before it reaches a child. Between the ergonomic headrest and V-shaped backrest, children will travel in cosy comfort from day one. The headrest protects and provides comfort for a child’s head and neck and can easily be adjusted to the correct position with one hand, even while the child is sitting in the seat. The unique, V-shaped backrest provides a spacious fit for children of all sizes. As the child grows and the car seat’s headrest is moved up, the V-shaped backrest ensures the child’s shoulders – typically the widest part of the body – corresponds to the widest part of the seat, up until the child reaches 150cm in height. For children above 135cm, parents have the option to remove the backrest of the highback booster for instances when additional flexibility is required. The booster cushion of the KIDFIX² R and KIDFIX² S comes with cutting-edge safety features extensively tested in Britax Römer’s crash test centre. A unique belt clip optimally positions the vehicle seat belt directly over the shoulder of the child for the duration of the journey. 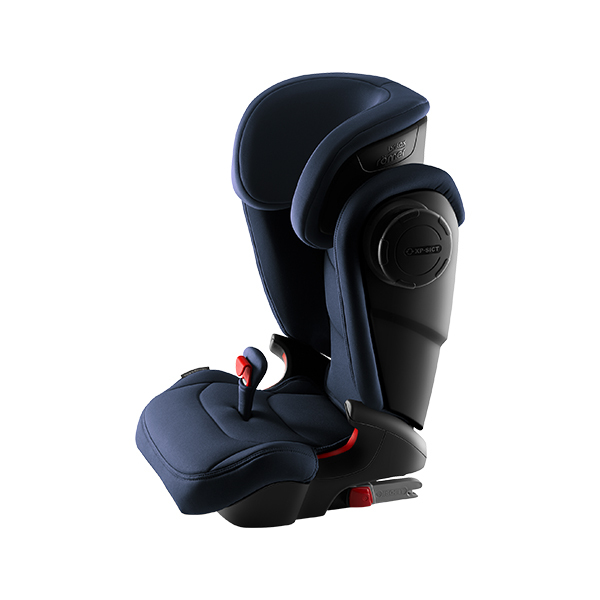 The booster is installed using ISOFIX connectors and comes with the SecureGuard feature to ensure the lap belt is positioned over the pelvic bones of the child. European regulations followed in the UK require children to sit in a car seat until they are 135cm or 12 years of age, whichever comes first. The KIDFIX² R and KIDFIX² S are Britax Römer’s latest additions to join the award-winning KIDFIX range. All KIDFIX child seats have been designed, developed and manufactured in Germany. This enables Britax Römer to carry out numerous tests in its in-house crash test facility and guarantee the highest possible quality. The KIDFIX family has also been extensively crash tested in real cars. More than 95 percent of cars crash tested by Euro NCAP in 2017 used a Britax Römer child car seat. Of these, more than 25 global automotive brands selected a member of the KIDFIX family for cars of various sizes and designs, such as the Mercedes Benz C-Class Cabriolet, BMW 5 Series, Ford Fiesta, Mini Countryman, Citroen D S7 CROSSBACK and Land Rover Discovery. These range from city cars to SUVs and large family vehicles. While consumer organisations test child car seats on sleds in specific environments, Euro NCAP tests the entire restraint system – the car in combination with the child car seat – and crashes actual vehicles in real-life accident scenarios. Excellent child protection in these simulated crashes is a condition for cars to achieve five stars in Euro NCAP. KIDFIX III M: Designed to offer children a new level of comfort, the KIDFIX III M’s design and longer seating area offers an ergonomic leg position to the tallest of children whilst including all the safety features parents have come to expect from Britax Römer products. KIDFIX II XP SICT: A highback booster seat that goes beyond legal safety standards, the KIDFIX II XP SICT comes with the XP-PAD which offers unique frontal impact protection, whilst the SecureGuard feature helps to keep the lap belt in an optimal position over a child’s pelvic bone. 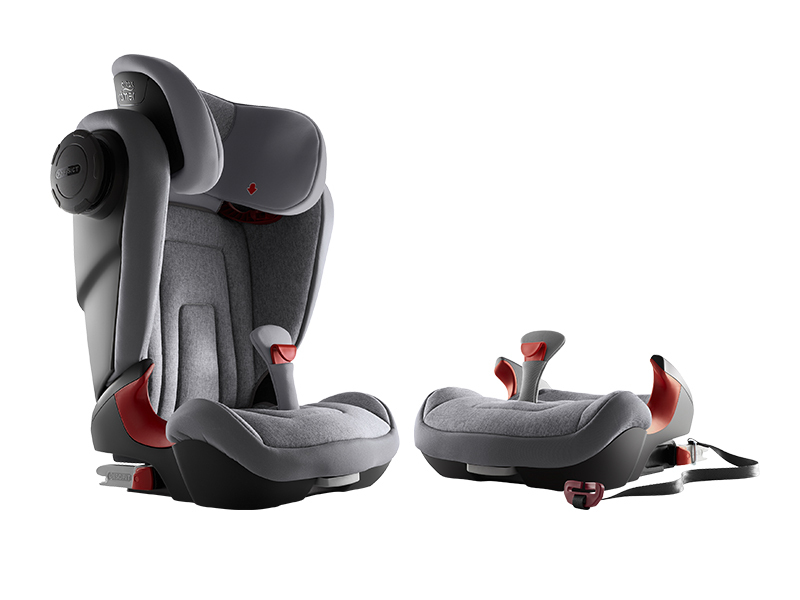 KIDFIX SL and KIDFIX SL SICT: The KIDFIX SL and KIDFIX SL SICT with ISOFIX make safety simple. The KIDFIX SL SICT features additional side impact technology for superior protection without compromising on space for other passengers. “Made with Care” is Britax Römer’s philosophy to provide the highest quality of products to customers. The majority of Britax Römer car seats, and all of their car seat fabrics and covers, are made in Europe. This is an important step in its commitment to tightening quality control and developing the safest possible products for children. Britax Römer has strong internal standards for chemical and mechanical testing for fabrics and other components. Britax Römer is pleased its efforts have been recognised in this area with consistent, excellent scores from leading consumer organisations such as Germany’s Stiftung Warentest, ADAC and ÖAMTC. The KIDFIX² R and KIDFIX² S are now available to purchase, starting from £150.